Shopify is a very popular easy to use site. We feel that it’s popularity is earned and you get a ton of features for a reasonable price. Especially if you consider the hosting and security aspect. If you utilize the available marketing tools and the Shopify staff, you can achieve great success with something simple. Ultimately your choice of provider depends on many aspects and there isn’t one perfect solution, but Shopify is a good place to start. Shopify is one of the easiest to get up an running. With some effort you should be able to build your site on your own if you are somewhat computer savvy. 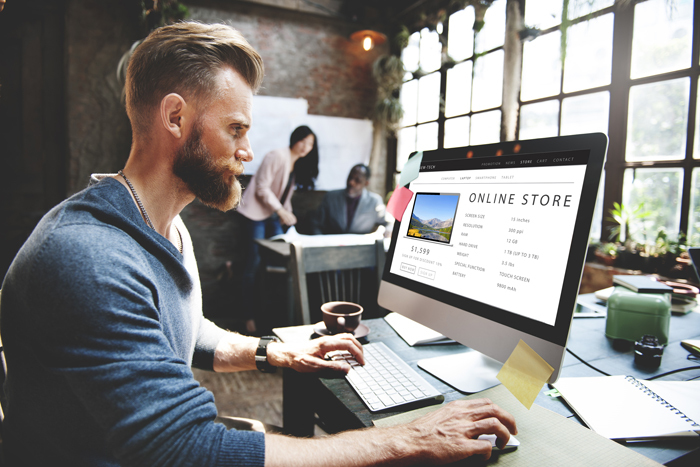 You may have to watch a few video and online tutorials but most folks should be able to get a Shopify site up and running on their own. Fast and Secure. Shopify is reportedly very fast while maintaining a high level of security. This leaves you to spend your energy designing and selecting your products and customer service, letting somebody else worry about hosting and security. Marketing: Perhaps the most import thing. Without buyers visiting your site, there is no point to any of it. Shopify offers simple and critical Search Engine Optimization (SEO) tools. Clean check-out process. Shopify does not introduce roadblocks to placing an order. Support Staff. With Shopify you have a team to turn too when you have questions. Shopify will not satisfy the needs of every situation and it’s lack of customization is the biggest weakness. Without the drag and drop interface of Zoey, getting exactly what you want may be very frustrating. Payment Processing fees are considered high and pay an additional 1% or so for a 3rd party solution. Scaled up versions are dramatically more expensive to get more features like calculated shipping rates. 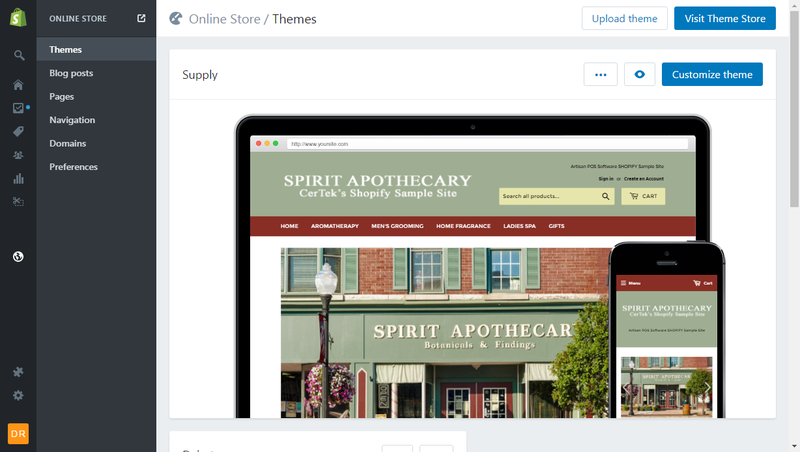 Design your site in Shopify and provide all the things a good site should do. Tell your customers where you are, when you’re open, and what makes you special. Add decorative photographs of your store, products, customers, and more to tell your unique story, style, and culture. CerTek helps you configure Artisan POS and Shopify to work together and automatically keep your products and sales up to date. Expect to pay $29 or $79 per month for Shopify Service. Check out their site for current information. We recommend you purchase one of their paid templates for a one time $200 or so. Sign up with a Shopify using this special link so they know you are using Artisan POS and credit for the sale. Sign Up Here! Connect your Shopify to Artisan POS. In parallel work on Products and Categories in Artisan POS and Site Design in Shopify.